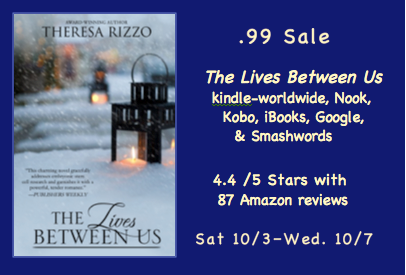 99 CENTS SALE Through Wed., Oct. 7th ~~”The Lives Between Us” by Theresa Rizzo: You will be Moved!! 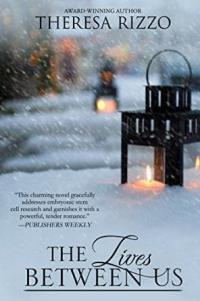 ON SALE FOR 99 CENTS RIGHT NOW< ON ALL SITES< DO NOT MISS OUT!! THIS IS A GREAT BOOK!! My review is below..
Just wanted to share a little good news. I have the BEST readers on the planet! As of yesterday, The Lives Between Us became a bestseller in 4 Countries! YAY!